Spaghetti doesn’t grow on trees! Or does it? In honor of April Fool’s Day, we’re throwing it back to one of the most famous gags in history. Back in 1957, BBC pranked its viewers with a faux news story featuring the discovery of a seemingly improbable crop of noodles sprouting from trees in Switzerland. 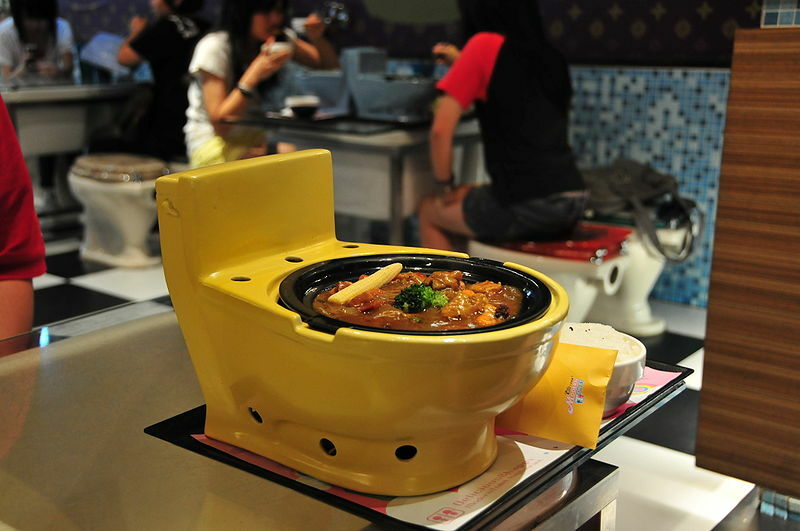 The Modern Toilet in Taiwan, is a toilet themed restaurant that makes you wonder… …What do you think the restrooms look like? Ray Villafane is not your mamma’s pumpkin carver (who is most likely you.) 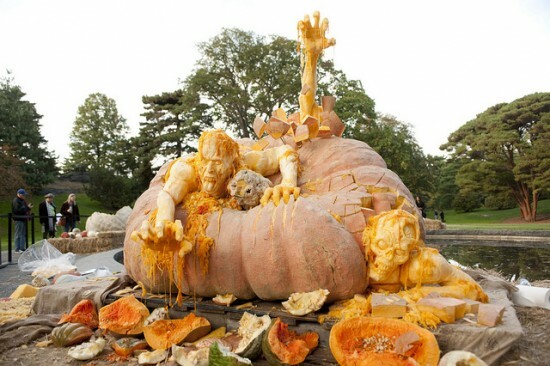 This sculptor used two giant 1600+ lbs pumpkins to make this zombie themed carving, the largest in the world. What’s the fastest way to walk 10,000ft up a mountain? 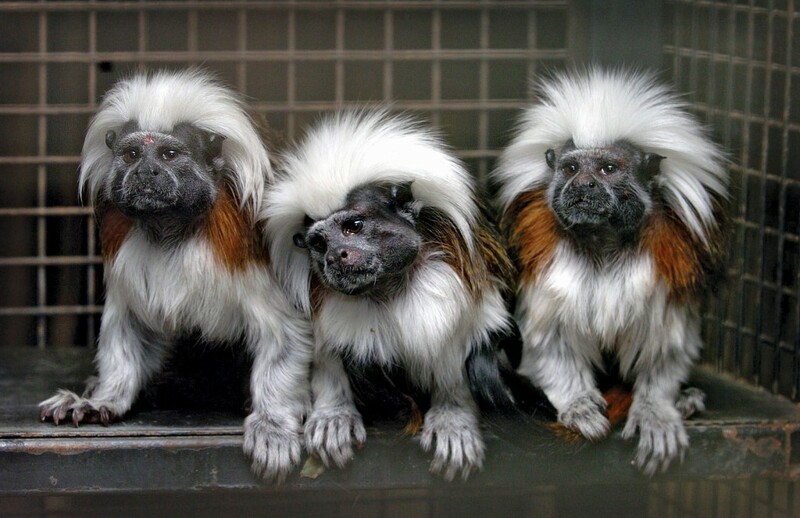 On a tightrope! Duh! …This guy actually did just that. And he plans to do more. Are You For Real? Gateway to hell lies in Turkmenistan! Hell’s Gate is the nickname for this giant hole in the middle of the Kara-Kum Desert in Turkmenistan. It was discovered in 1971, when the ground gave way under an excavation team to reveal an opening to a massive underground cavern of natural gas. The hole was set ablaze, to keep the toxic fumes from spreading, and it has been burning non-stop for the last 40 years. Are You For Real? World Tin Bath Championships!